and today's project is a very simple little re-do! 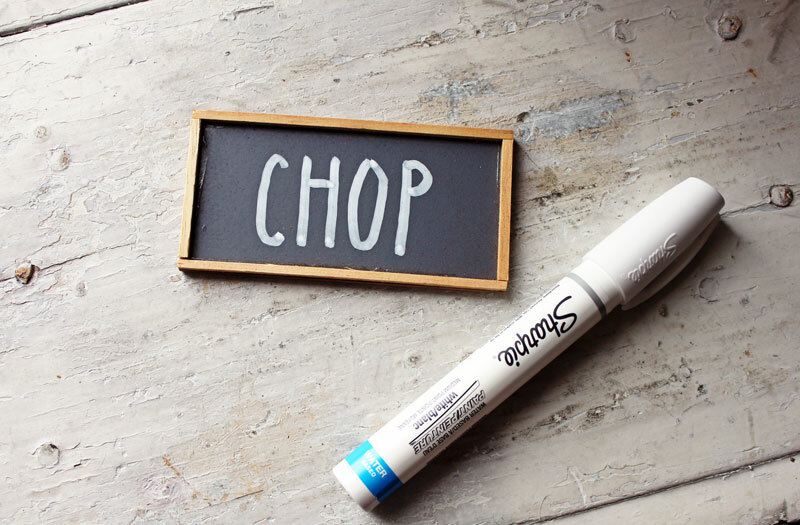 and wrote the word "CHOP" with a paint pen. 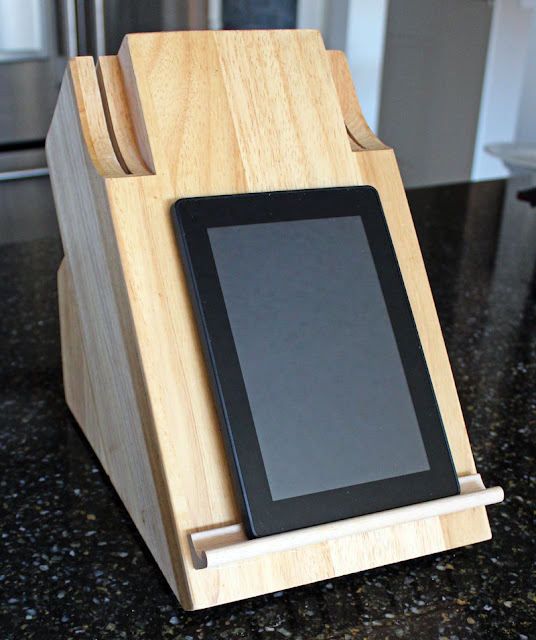 Perfect for holding a recipe, my tablet, or charging my phone! I love a simple re-use project! Well, isn't this clever! I especially love the scrabble tray for a tablet or recipe. Very clever. Nice chop block!! i love a multi-purpose RE-purpose! You're so clever! 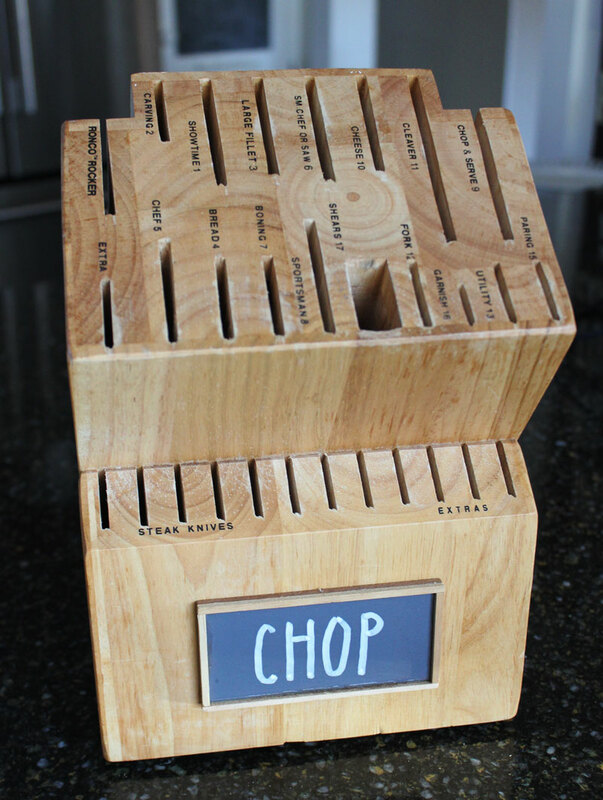 The knife block was a great find and you made it prettier and even more useful. I love your idea with the scrabble tray. 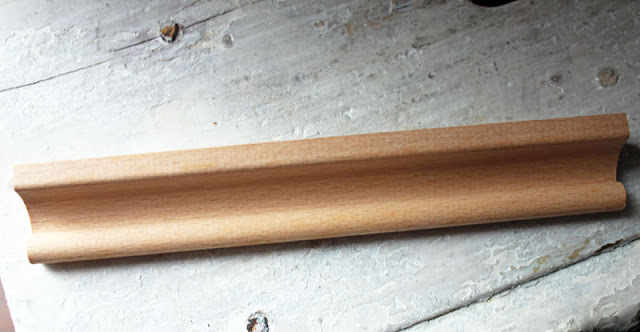 Love this simple and oh-so-functional project, Linda! Great use of the scrabble trays! You are a genius when it comes to the "art" of repurposing! I never would have thought of this, Linda. Such a fun project, Linda! What a clever way to cover up the manufacturer's name in style with the darling little chalkboard! 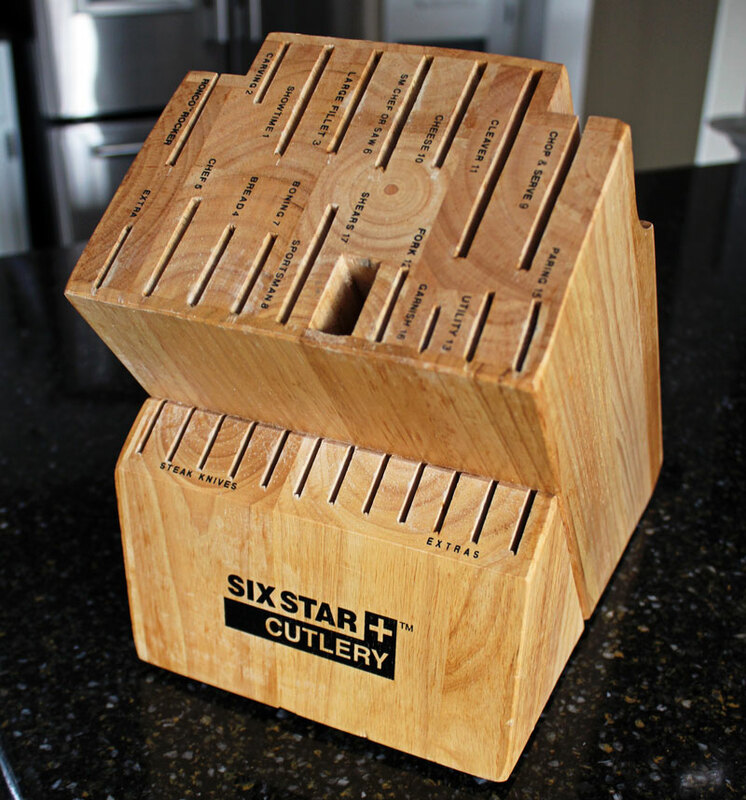 And using a piece from a Scrabble game to hold recipes is genius, too! My poor knives are stuffed in a drawer. 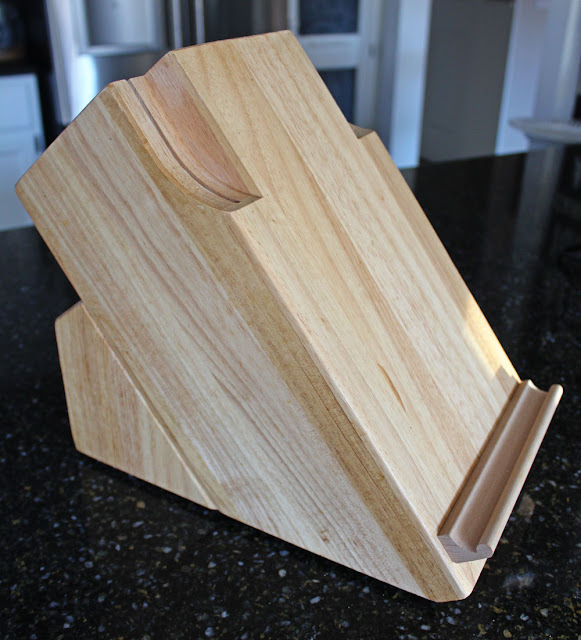 I have two knife blocks downstairs...but I am one who hate anything on their counters. But making it multi purpose of a sign and book/tablet holder makes me rethink my blocks. Very creative! Good Golly, I pass by those knife blocks ALL THE TIME at the thrift stores!!! Who knew! 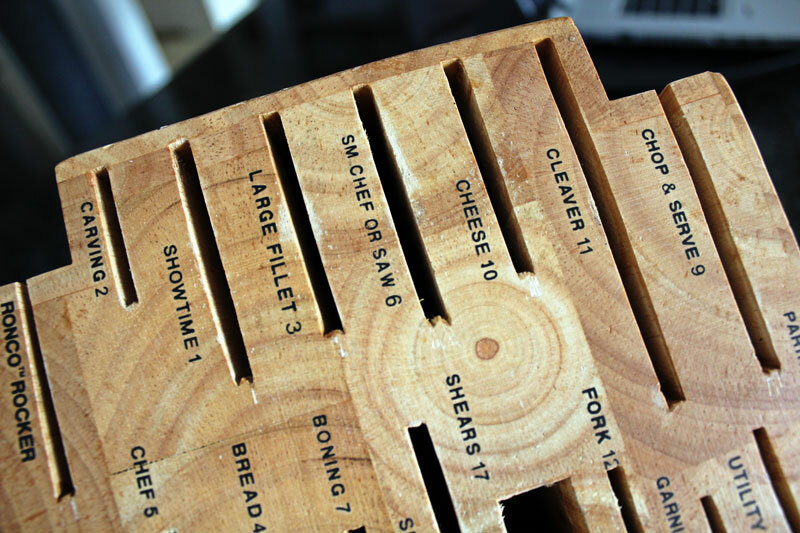 That is one of the prettiest knife blocks I've ever seen! 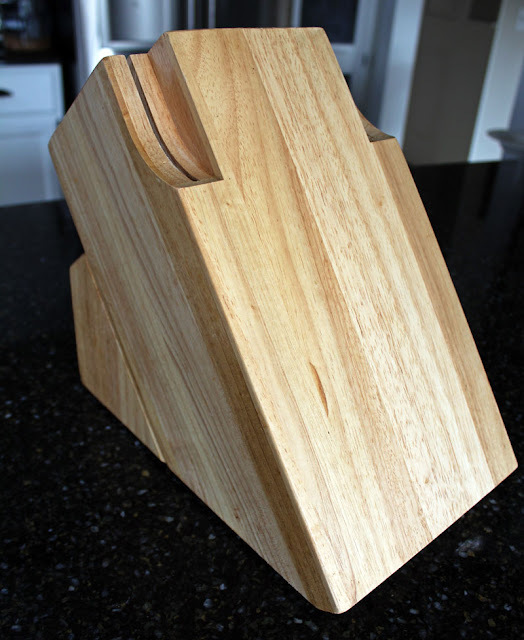 How cool is that to make the back of the knife block, an area to hold your phone or tablet? Love it! For Christmas we got a nice knife set in a walnut block. 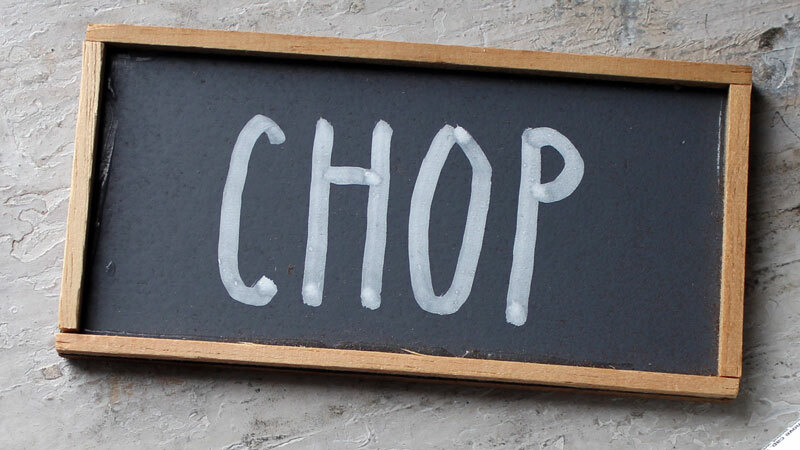 I think it needs a little chop sign too. What a great idea! I love the scrabble piece used to hold a tablet for recipes or even a recipe card. Hi Linda! It's an absolute delight to be visiting you this morning...I cam across your wonderful blog via the Vintage Charm party. How creative! 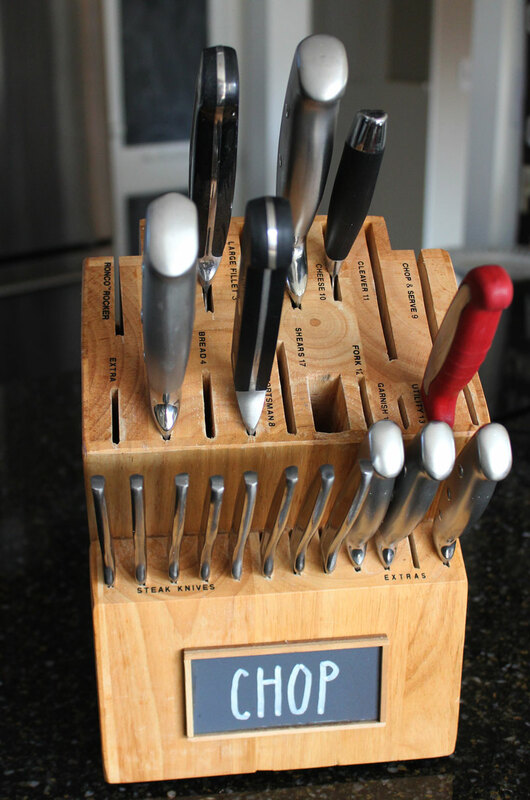 Who knew adding a scrabble tile holder could spruce up the function and decorative appeal of a knife block? Thank you! It's been great for holding my phone, too! What a wonderful idea! I love the chop sign and the scrabble tray idea is brilliant! How clever of you! 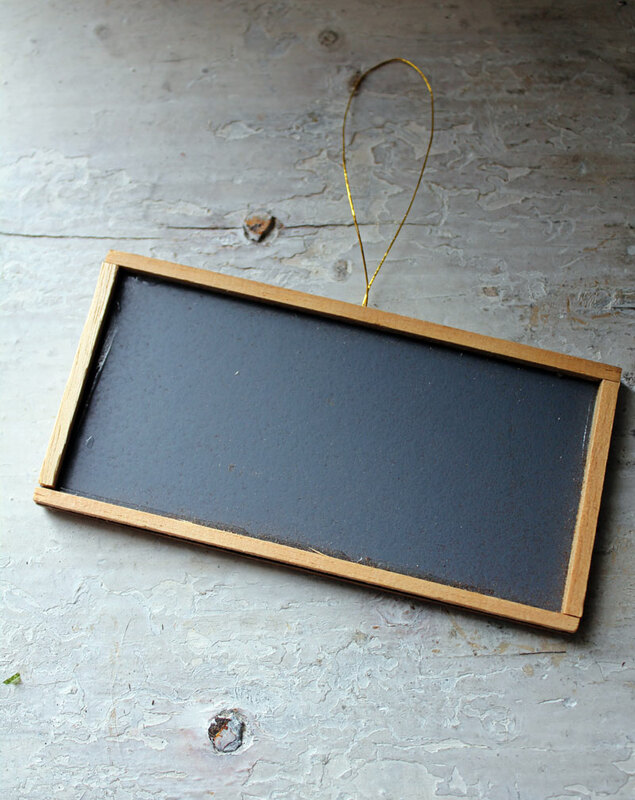 I love it as a book or tablet holder and the chalkboard is such a fun addition. Thanks so much for sharing at Talk of the Town. Love the creativeness here perfect for following a googled search at hand . I love what you did with this.... especially the scrabble rack as a resting place for your tablet! Inspired! Linda, I've already shared how much I love this idea but wanted to thank you for sharing @Vintage Charm!